Actress Lori Loughlin and her fashion designer husband, Mossimo Giannulli, pleaded not guilty in the college admissions scandal. In court documents filed on Monday seen by the Associated Press, Loughlin and Giannulli waived their right to appear in court for arraignment on charges of conspiracy to commit mail and wire fraud and conspiracy to commit money laundering. If convicted, Loughlin and Giannulli face up to 40 years in prison each. 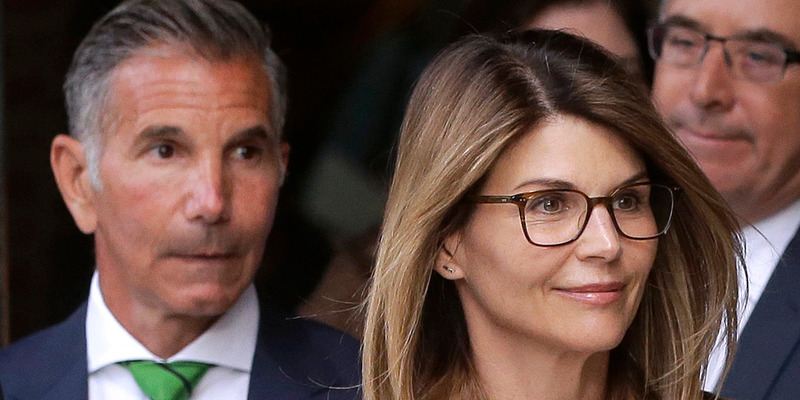 Actress Lori Loughlin and her fashion designer husband, Mossimo Giannulli, pleaded not guilty in the college admissions scandal on Monday. Loughlin and Giannulli are accused of paying the scheme’s alleged ringleader, William „Rick“ Singer, $500,000 to guarantee their daughters‘ admissions into the University of Southern California. They are charged with conspiracy to commit mail and wire fraud and conspiracy to commit money laundering. If convicted, they face up to 40 years in prison each. In court documents filed on Monday seen by the Associated Press, Loughlin and Giannulli waived their right to appear in court for an arraignment and pleaded not guilty.